It’s too bad Germans don’t celebrate Thanksgiving because Simon Lizotte got himself a double turkey (what else do you call six straight birdies?) 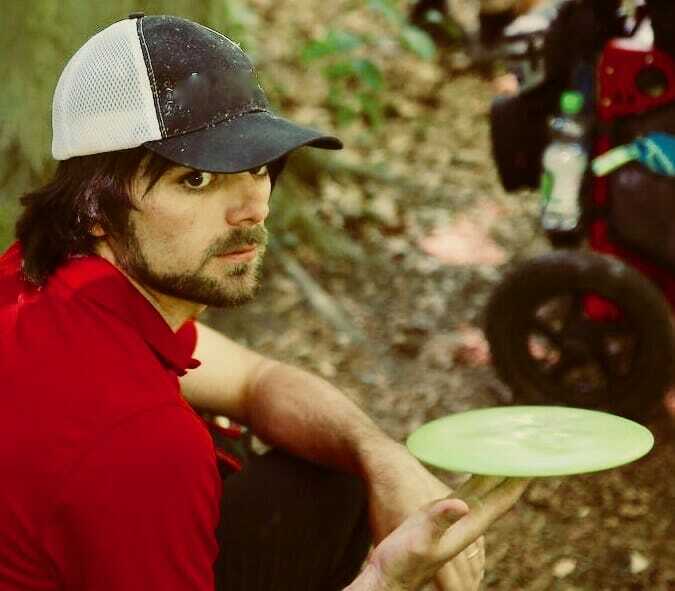 to end his second round yesterday at the European Disc Golf Championship. His 1062-rated 10-under par round puts him at a 17-under par 103, giving him a two-stroke advantage over the second place Seppo Paju. Paju shot 6-under par today and sits at 15-under par 105. Paju’s Finnish countrymen Teemu Nissinen and Pasi Koivu are in third and fourth, with respective scores of 13-under par 107 and 12-under par 108. Despite telling Ultiworld Disc Golf yesterday that his ideal second round would be 10-under par, that wasn’t really what was on Lizotte’s mind at the end of the day. “I’m probably more frustrated with hole 11 than I am pleased with 10-under,” he said. For context, Lizotte said yesterday that the 238-meter (781-foot) par 4 11th should be “easy” for him because it fits his game very well. Yesterday he double-bogeyed it, and today he improved on that, but not by much as he bogeyed it. We’ll be back with updates on this ongoing battle of man-vs-course-design tomorrow. Despite slipping to second, Paju is still feeling confident. With this confidence comes a simple game plan. Nissinen will be the only newcomer to the lead card tomorrow. He shot up from 11th place to third by shooting a 1054-rated 9-under par 51 during today’s round. His opinions on his round generally reflected the strong play. Like Paju, Nissinen has “no special plans” and knows he’ll be just fine if he keeps up the strong play tomorrow. Though his 1021-rated 5-under par 55 effort kept him on the lead card, it was clear that a small mistake with big consequences from very, very early in the round was still in the forefront of Koivu’s mind. “Threw my teeshot on hole 1 just 10 inches [25 cm] too high to hit the mando and not clear it,” he said. This was his first thought when asked for a comment generally about his round. This mistake snowballed into Koivu taking a triple bogey on the par 3 hole 1 to start his round. It highlights the severity of this mistake to think that if he had parred the hole as he did in the first round, he would currently be tied with Paju in second place. However, Koivu has it all planned out for tomorrow. “I’m going to throw first shot lower, forced anhyzer with an overstable putter,” he promised. Like yesterday, there are plenty of competitors still in striking distance of the podium. Finn Väinö Mäkelä has a score of 11-under par 109, and he’s trailed by fellow Finn Leo Piironen and German Marvin Tetzel by just one stroke. Also noteworthy is that Estonian Silver Lätt—who was in second place after round one—managed only a 1-under par 59 during round two and slipped to eighth place. However, it’s likely another two hot rounds like his first would put him right back in the running for a top-three finish. 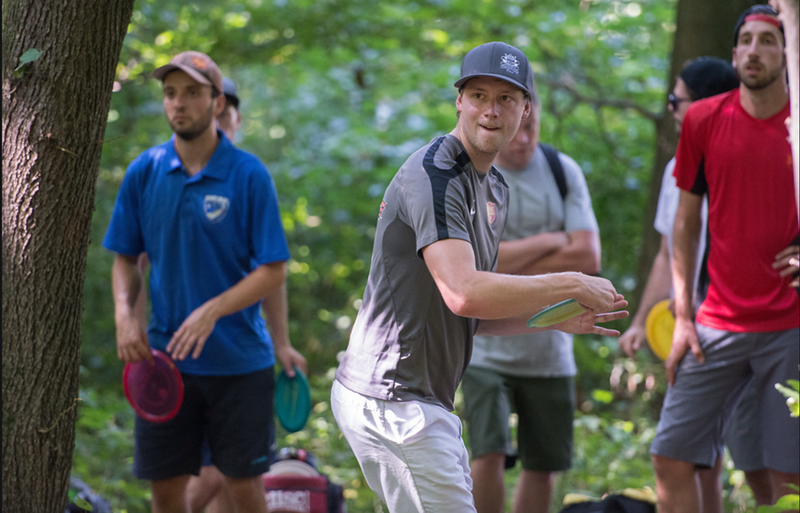 Comments on "Lizotte’s 10-Under Round Pushes Him To EDGC Lead"